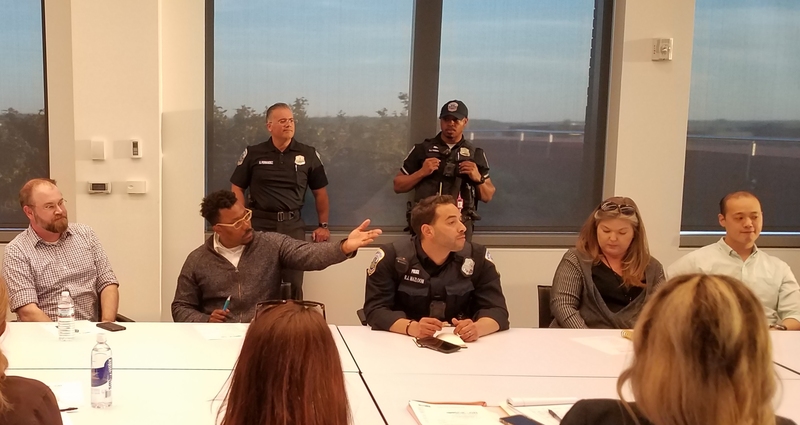 At Tuesday night’s Capitol Hill Restoration Society (CHRS) Board meeting, the body agreed to a motion to consider adding to its 2011 budget, an amount up to $25,000 for a contextual study of the area south of H Street, NE, and east of 13th Street, down to the Anacostia River. This is the Hill East area lying outside of the Capitol Hill Historic District. The motion passed unanimously, by voice vote, with one board member, realtor Chuck Burger, abstaining. This “context statement” would be the last step necessary to complete the CHRS “Beyond the Boundaries” project. Volunteers have completed a survey of the area, compiling a huge amount of information including pictures and descriptions of every building in over 100 squares (square blocks). EHT Traceries, the architectural history firm, was contracted to add archival information to the survey results and create a database of the information. The process going forward involves hiring an architectural historian from a list maintained by the Historical Preservation Office, (Traceries?) who will pull together the cultural, demographic, religious, etc., data and write a “context statement” documenting how this neighborhood – or neighborhoods within the area – came about. The estimated cost to produce the context statement is $20,000. Nomination for historic district status requires submitting extensive documentation to the Historic Preservation Review Board (HPRB). CHRS will have the information needed, and while it will all be “in a box,” it will have to be reassembled in the form required for consideration by the HPRB. The effect of agreeing to the motion will be to bring the proposed $25,000 expenditure before the board when it formulates its budget for 2011 in July. The board will have to vote again on whether to recommend the expenditure to the full CHRS membership for approval at the September CHRS membership meeting. The 2011fiscal year will begin October 1, 2010. 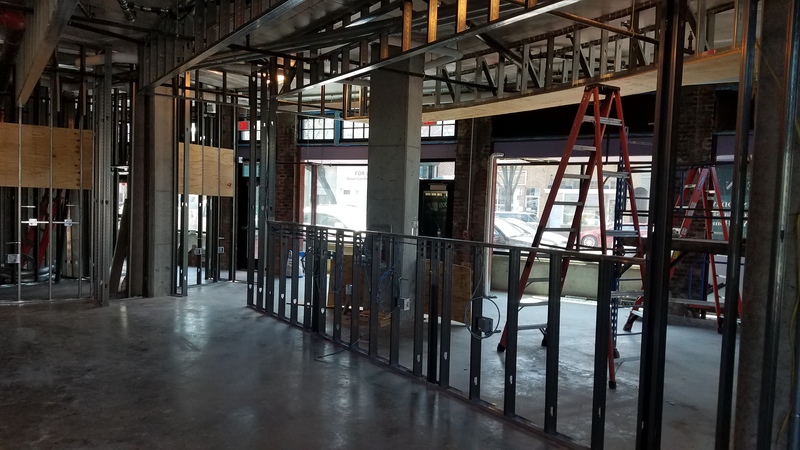 Earlier this year, Traceries recommended that an area in near-Northeast adjacent to the H Street commercial corridor, roughly between 2nd and 15th Streets, and from H to F Streets, NE, become part of the Capitol Hill Historic District. (See 2/16/2011 posting below). It seemed to be the consensus of the CHRS board on Tuesday night that it does not expect neighborhoods in the “Beyond the Boundaries” area to join the Capitol Hill Historic District, but rather, to form their own historic districts. A majority of those within a neighborhood must support historic status for that area. In 2010, the Barney Circle neighborhood seemed well on its way to becoming a historic district. 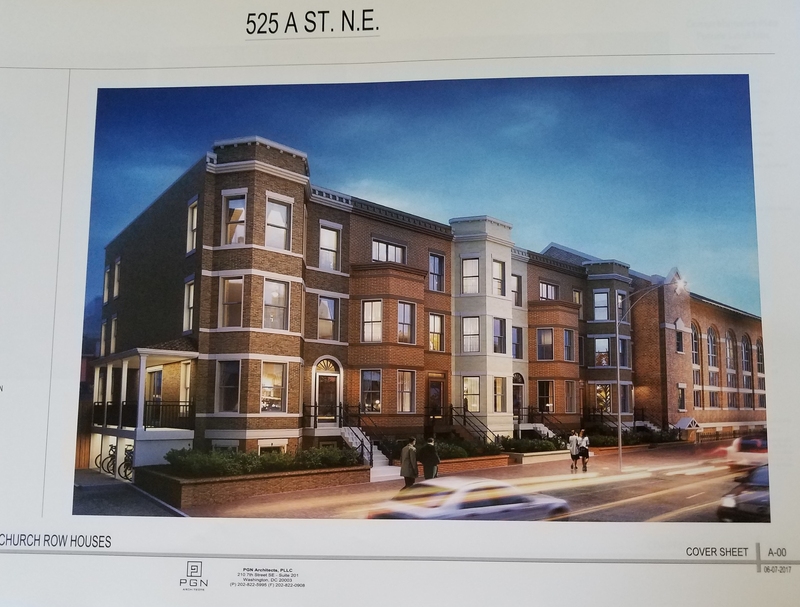 This became a campaign issue in ANC6B09, and when an ANC candidate who opposed historic district status for Barney Circle was elected by a large margin last November, the historic district nomination was put on indefinite hold by the HPRB. Missionaries come to spread Christianity to the heathens. Didn’t work so well in Iraq or in Afghanistan. I live in Barney Circle and I vehemently opposed becoming a historic district when it was being proposed there. While I would love to prevent my neighbors from altering their homes to something I find undesirable I believe that it an infringement on their basic property rights. Barney Circle is no more historic than any other group of homes in DC, the same goes for Hill East, NOMA, Atlas District, etc. There is a large enough swath of homes under historic preservation on Capitol Hill. There is no need to expand that. To do so only gives groups like CHRS more power and strips it from the people who actually bought and live in those homes. This is not a Hilleast led initiative and will just give those closer in on cap hill the means to further kill the advancements being made in home renovations etc. Just as all the attention goes to 8th street and eastern market and no attention is paid to Res 13 from anyone beyond 12th street… why would we think CHRS has our interests in mind. Look at how badly they have been bought and paid for on the Hine redevelopment. I don’t get it. What’s your complaint about CHRS re the Hine Development. Large chunks of that development that the neighbors are fighting are matter of right and CHRS can’t do anything about them. I’m a neighbor and the plans look if anything barely large enough for what’s needed to keep the rest of the Hill ticking, in and out of the Historic District boundaries. The Eastern market vendors trucks will be taken off the streets with their own loading docks, some new housing gets created, amenities the neighbors killed that were to be on the Eastern Market metro plaza will get addressed. Is an empty lot a better idea there? Fill me in. I had lived in the heart of Hill East for 20+ years and I hope fervently that it will become an historic district. I love the look of its blocks of still-intact hundred-year old rowhouses. But I also know that, unless Hill East is protected by designation as an historic district, many blocks will soon lose their rows of look-alike rowhouses. Go look at the 1700 block of Mass. Ave. SE where a totally out-of-character 3rd floor + roof deck have put a top one of its original rowhouses. To my eye, this addition seriously compromises the historic aesthetic of this block. Not to mention that it likely decreases the value of all the houses in that block which will no longer be of interest to buyers who want to live in a neighborhood of historic rowhouse blocks. Interesting report. Thanks. I live in Hill East and supported the proposed Barney Circle Historic District. I’d like to note, however, that the ANC6B election was about more than support for the HD. Although I was a supporter of the HD proposal, I voted for the candidate who did *not* support it; I voted for him because I thought he’d bring a lot of energy and neighborhood-organizing skills to the job–and he has. Right now our main focus is the battle over redistricting and whether part of Ward 6 will be cut off and added to Ward 7. There’s still some interest in the neighborhood in the idea of a conservation district that wouldn’t be as burdensome as a historic district but would minimize the kinds of development Pat’s describing. (1) At the CHRS community meeting on Hine several weeks ago, Sharon Ambrose noted — in regard to complaints about the quasi-industrial district “Harris Teeter” building design the architect put forward that night, a design that didn’t look like the Hine neighborhood — that if the Harris Teeter building had been in an historic district, there would have been more ability for the community control to have a say over the design. If your neighborhood doesn’t have any protections, you live with the consequences. (2) Once again we hear that the CHRS has powers it does not have. If a neighborhood opposes becoming an HD, it won’t. There are democratic procedures that will determine that issue. What the CHRS does is make it much easier for that process to go forward, should a neighborhood decide it wants HD designation. I commend CHRS for their proactive work. Tom, #2 is not necessarily correct. Unlike other cities, D.C. preservation law does not require a formal resident vote and resident approval is not necessary to implement a historic distric. Without an official vote, there’s no way of knowing for sure whether a majority are for a historic district. In current historic districts like Mt. Pleasant and Shaw lots of residents feel the process was unfairly imposed upon them by a group of outsiders – in my opinion this is what happened in Barney Circle and now CHRS is trying to find greener pastures in other parts of the Hill. No powers? … you mean like spending $20k on suing someone for a building addition that was signed off on by the city? I wouldn’t be so quick to state that a neighborhood who opposes a HD won’t become one. It took tremendous effort by the residents in Barney Circle to prevent historic designation. Even when residents produced evidence that more than half the effected residents did not want to become a HD the HPRB still continued. Finally they put it on hold, but I don’t believe the issue is dead or settled. The HPRB takes great weight from the CHRS’s testimony at their hearings … more so it would seem than the residents actually living in the neighborhood. Eric, are you saying that the DC government always interprets the law correctly (“…signed off on by the city”)? Aren’t lawsuits what entities do when they think a government agency hasn’t interpreted the law correctly? Without the ability to sue, what would stop governments from running roughshod over the rights of people and of neighborhoods? Are you saying that a community group which can raise $20 K to sue over interpretation of a law is the powerful entity, but not the city government of DC? Where did I write that law suits shouldn’t be allowed? Where did I say that CHRS was powerful and the city not powerful? Of course people/groups should be allowed to sue. And, yes, I do think that a group who can spend $20,000 on a lawsuit has some sort of power. I couldn’t afford to spend $20k on a lawsuit OR defend myself if a suit such as this was brought against me. So, yeah … I think CHRS is powerful. I live in Hill East and do not think there is any reason to include it in a historic district. I love the look and feel of the neighborhood but do not think it is any more historic that most other row house neighborhoods in DC. The entire District does not need to become a historic district.